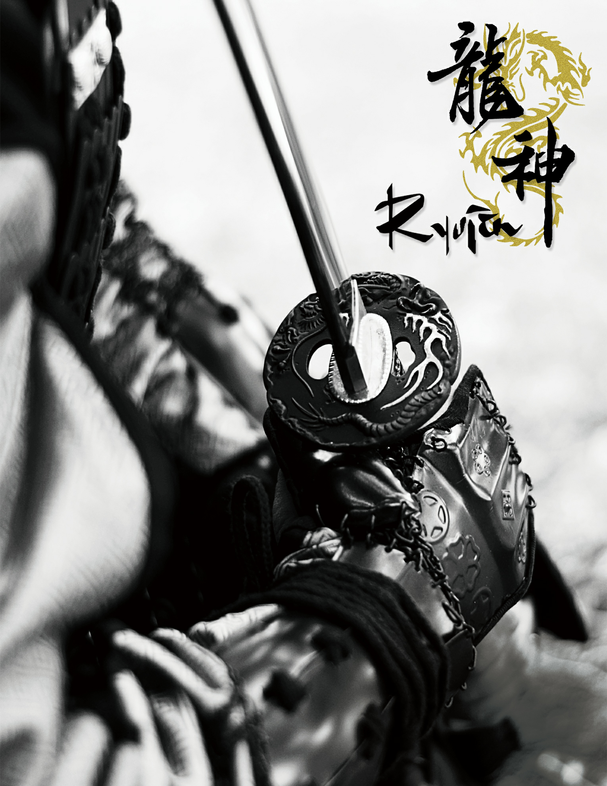 Ryujin Sword is a division of Top Quest Inc, a company owned and directed by Mr. Sam Sung, one of the original founders of Musashi Swords and a driving force behind the sword industry. Expanding in 2015, the brand was established in conjunction with Sword Buyers Guide after a meeting and discussion with Sam in Hong Kong, and from it several lines of Japanese swords were introduced to the market, with their most notable contribution literally revolutionizing the custom sword market with the Ryujin Sword custom Katana series. While their website does not list any specific guarantee or warranty information, Sam Sung and Ryujin Sword are committed to true customer service and will do what is necessary to make any problems that crop up from time to time, right. Developed in conjunction with SBG since its inception, Ryujin Sword import a large selection of individual sword components (such as tsuba, handles, scabbards, etc) along with high quality bare blades, and assemble them to the customers specification at their US based workshop in California. Not only does it dramatically cut down on lead time (many swords are assembled and shipped out within a few DAYS) but it also improves quality as they have full control over the process from start to finish. The only real limitation is because the components are all made overseas, they cannot be further customized at the workshop, which only has the capability to assemble existing components, not modify them further than what is offered as standard. 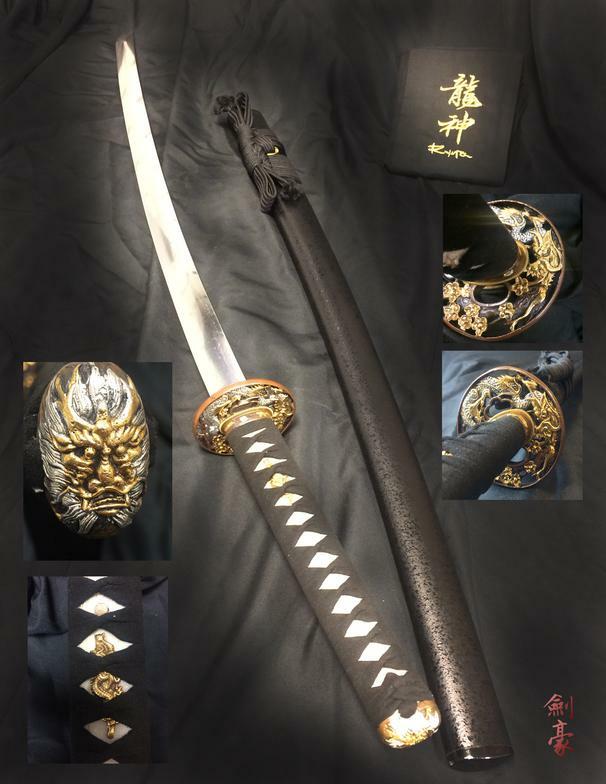 In addition to their custom line, they also import several swords pre-assembled that have been designed by Sam Sung, who has been designing swords for over 2 decades. In most respects, these pre-made designs are not so very different than most other manufacturers of entry level Katana with the downside that no customization is possible at the workshop and it is a case of what you see is what you get. The Ryujin Sword Custom Katana series are assembled by a small trained team at their Californian workshop from a selected range of fittings and put together in whatever combination the customer so desires. Customers can usually choose 3 or 4 custom selections, such as the tsuba used, the color of the handle and the color and style of the saya (scabbard) as well as the type of blade. In addition to the standard custom options, several limited edition runs at special prices or with limited availability components are often run by Sword Buyers Guide. 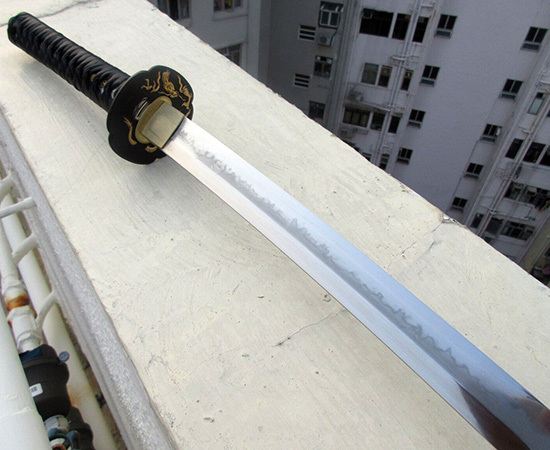 Ryujin Sword have established an excellent track record in the years since they started, with a very high rate of customer satisfaction and low customization error rate. Probably the biggest issue that comes about is not their fault, as some retailers list components are blade types that are not available or not in stock, which is more of a failure of communication between the vendor and the supplier than an issue with Ryujin Sword per se. 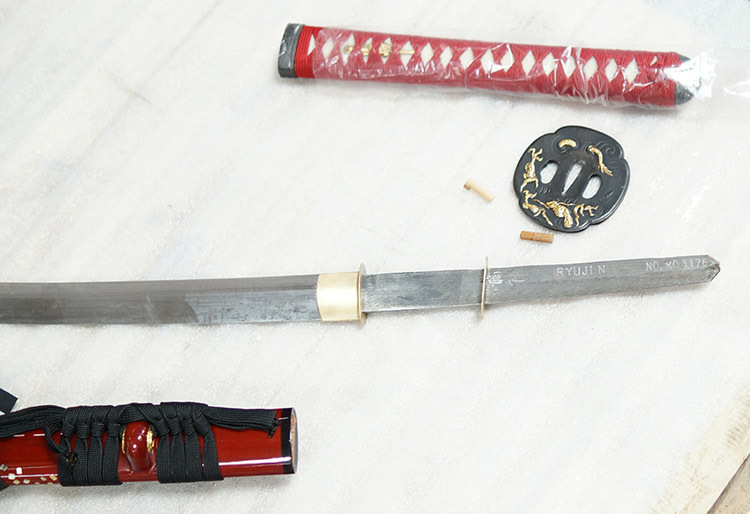 Some vendors also sell earlier models or components that were rejected by Sword Buyers Guide, such as their laminated blades which had a soft temper and misaligned lamination. 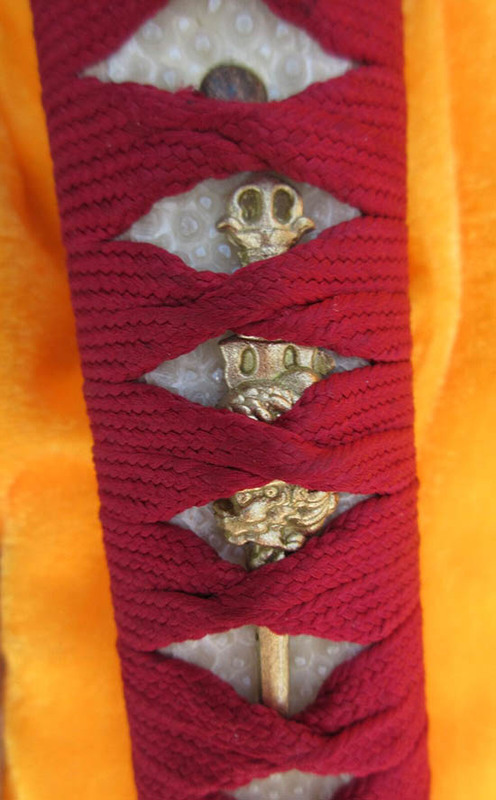 Otherwise, the most common issue is that the ito wrap of the swords is not particularly tight, with small portions of the wooden handle often seen peeking through. Sword Buyers Guide was instrumental in helping to create and refine the Custom Katana concept with Ryujin Sword, and have a close working relationship with the company - ensuring the best levels of customer service and attentiveness, as well as constantly updated component and stock information. Additionally, SBG prices are at least $30 to $60 lower than their closest competitor and only use the best blades and components and do not charge extra for premium components, ensuring you get the very best deal possible. You can find our current line up of Ryujin Swords right here at the SBG Sword Store.